?Inter striker Mauro Icardi has caused a stir by ‘liking’ the celebratory Instagram post of Juventus ace João Cancelo, amid intense speculation over his footballing future. The Argentina international has been exiled from the club, after being stripped of the captaincy last month, following a breakdown in contract talks with the San Siro side. The player’s current deal expires in 2021, but he is highly likely to leave the club in the summer, with a host of elite sides set to battle it out to secure his services. As noted by ?Calcio Mercato, ?Icardi – ever the provocateur – fired in an Instagram ‘like’ following ?Juve’s 2-1 win win over Napoli in ?Serie A on Sunday, which has led some to suggest it could be indicating his desire to join I Bianconeri at the end of the season. However, footballers being footballers, there may well be nothing more to it than a moment of foolishness on Icardi’s part. Clearly, it’s going to a lot to convince Inter to accept Icardi back into the fold; that is, if he actually wants to play for the club again. ?La Gazzetta dello Sport have reported that the 26-year-old has already ruled himself out of his side’s Europa League clash against Eintracht Frankfurt on Thursday, claiming his knee injury is still far from being fixed. 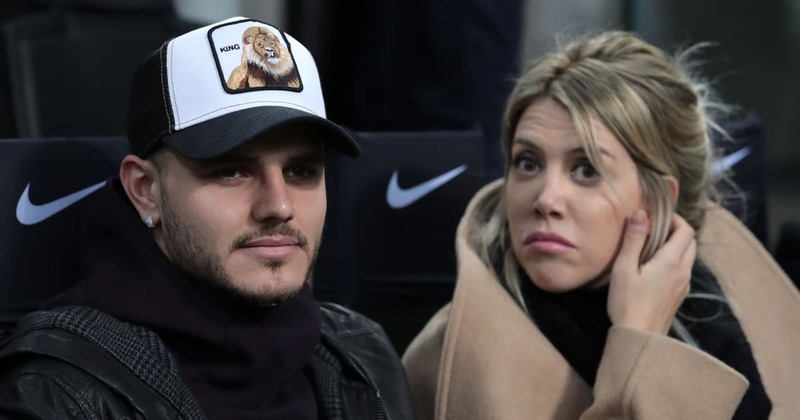 The player’s wife and agent, Wanda, has become notorious as a capricious negotiator, which could potentially turn off potential suitors in the summer transfer window. Icardi’s talent is unquestionable, but the off-the-field behaviour of the star could lead a number of clubs to have second thoughts about taking a gamble on the mercurial frontman. Meanwhile, ?AC Milan have claimed they ‘fully embrace’ the possibility of moving away from their iconic San Siro stadium, with a view to constructing a brand new, €600m arena. I Rossoneri currently share the cavernous structure with ?Inter, who are likely to follow them out of the San Siro and jointly fund the rumoured new venture.